It all began with a little, ceramic owl she bought while decorating her first born's nursery. 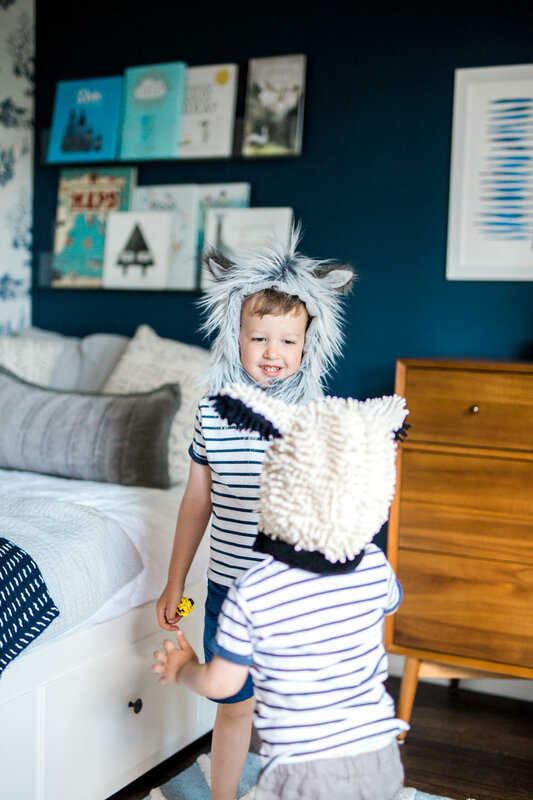 Karen creates interiors that reflect the personality of every little one while still creating beautiful spaces that Mom & Dad enjoy spending time in too. A proud mama to 2 littles, her rooms are tried, tested and designed to function for every day life. This session was so much fun to capture! Karen was a past creative director of mine when I worked at Leo Burnett and I always looked up to her! She is the epitome of a girl boss and always encouraged me to do my best work. When she messaged me about her new interior decorating business she was starting, I was beyond excited! This session captured not only the perfectly decorated interiors but also her family and their sweet interactions! I was also so happy when just after the session Karen sent me a couple of behind the scenes photos she had snapped on her phone of me while I was shooting! I wanted to include these in here because I thought it was so cute to see this!